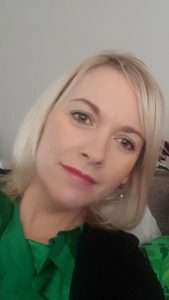 Kerry, a mother of 5 children, joined our team in May 2018 bringing her experience in outreach and family support work. During a car eer break, Kerry became involved with her parish as a member of the Parish Council representing Young Families and is a Eucharistic Minister to the sick and house bound. Kerry is a member of the Bethany bereavement group, she also facilitates a young faith development programme in her parish. Inspired to explore her own faith further, Kerry is studying for a BA Honours Degree in Theology through distance learning and is in her final year. Maire Gormley on Brother Fintan Broderick R.I.P. Brendan Dineen on Brother Fintan Broderick R.I.P.